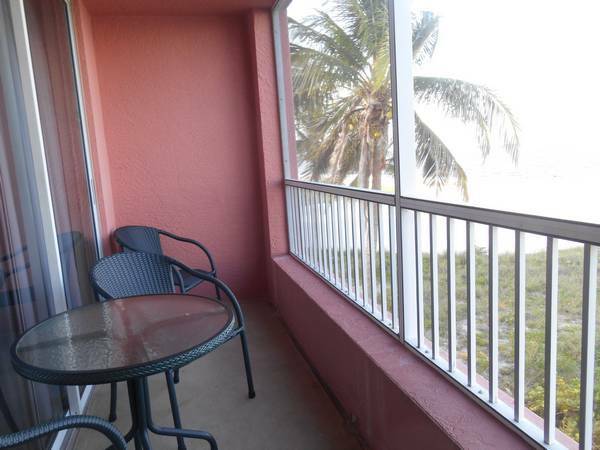 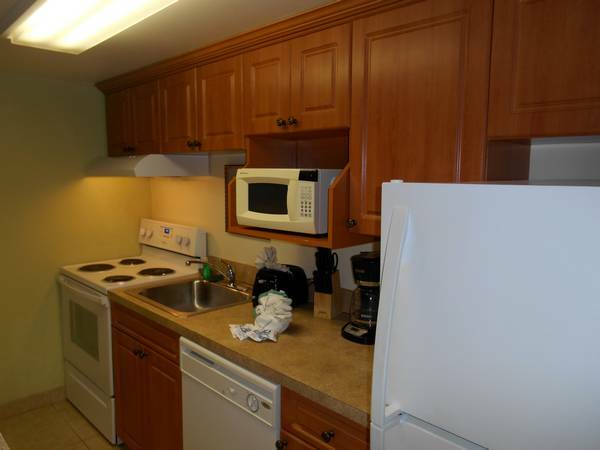 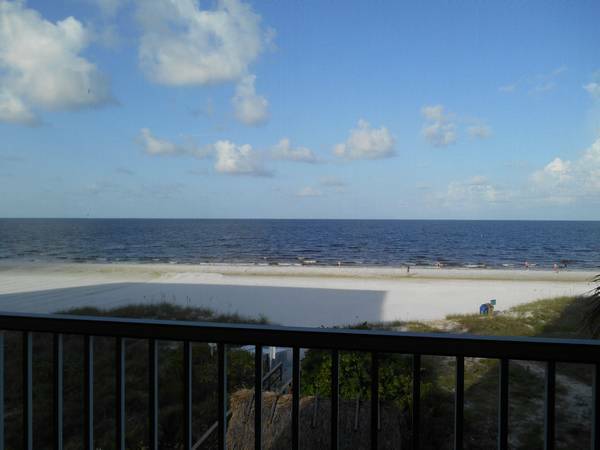 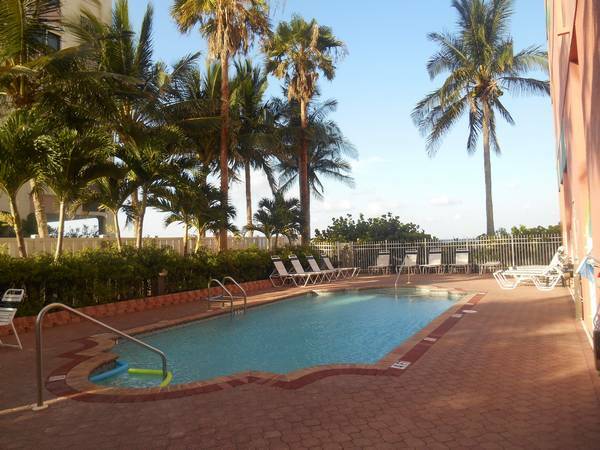 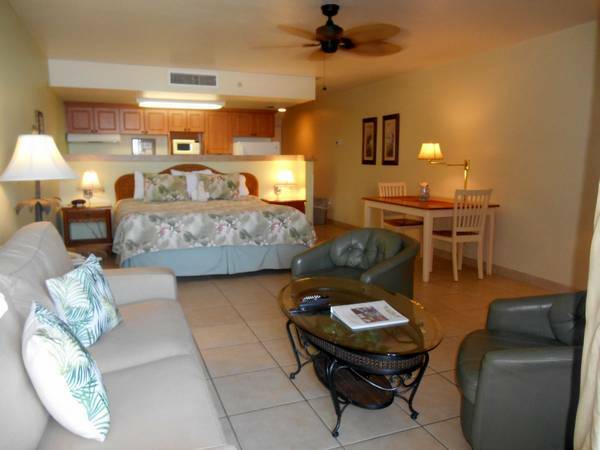 This PET FRIENDLY unit is a Gulf Front King Studio. 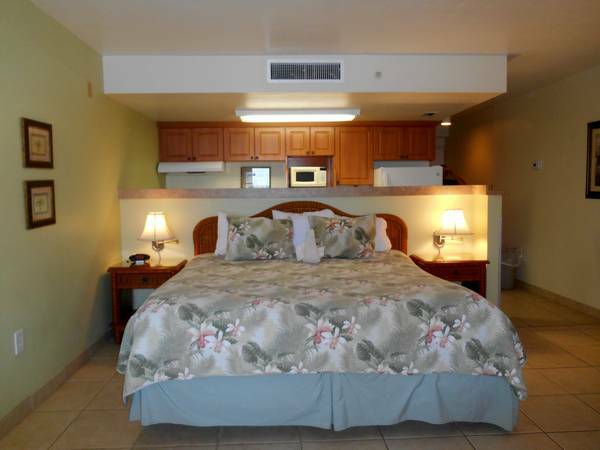 While you are lying in your king size bed or sitting on the queen size sleeper sofa in the living room area, you have a beautiful view of the Gulf of Mexico and the expanded beach in front of Casa Playa. 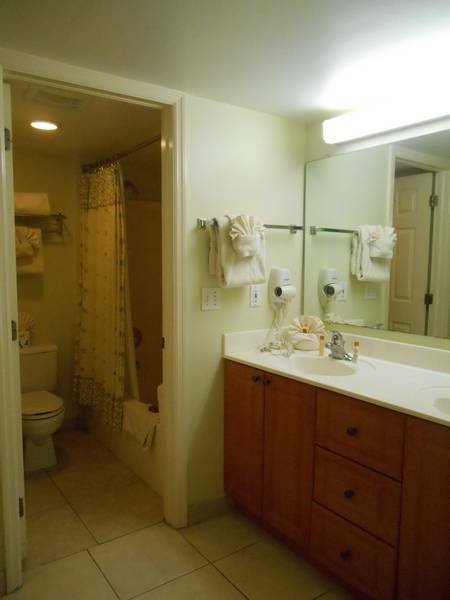 This unit and its tasteful décor, has a king size bed and a queen size sleeper sofa with ample chairs, lamps and tables and features tile floors and recently remodeled kitchen counters and cabinets. 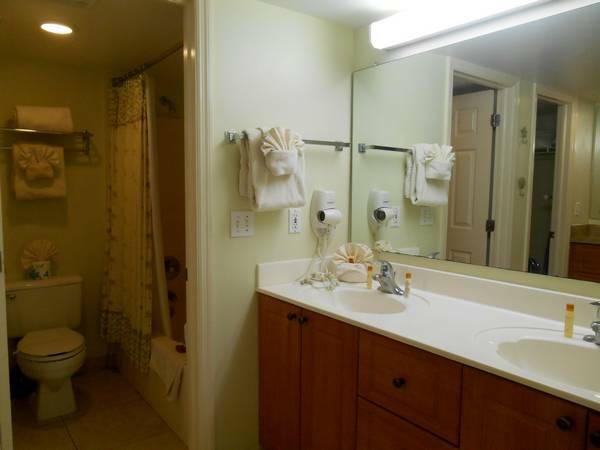 The large bathroom area includes a dressing area with double sinks, lots of drawers and cabinets, a walk-in closet and separate tub and toilet room. 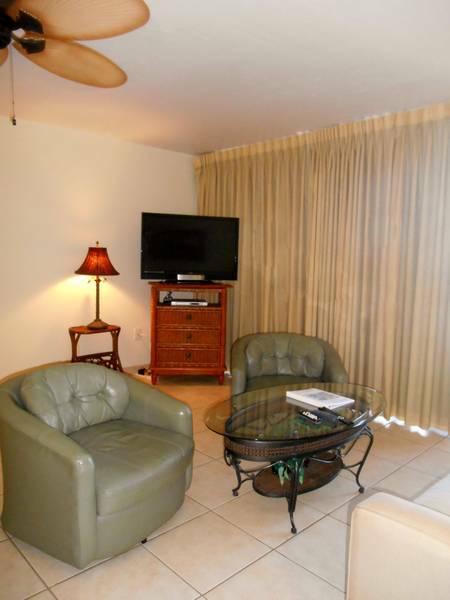 Enjoy the flat screen TV and your favorite movies with the DVD player. 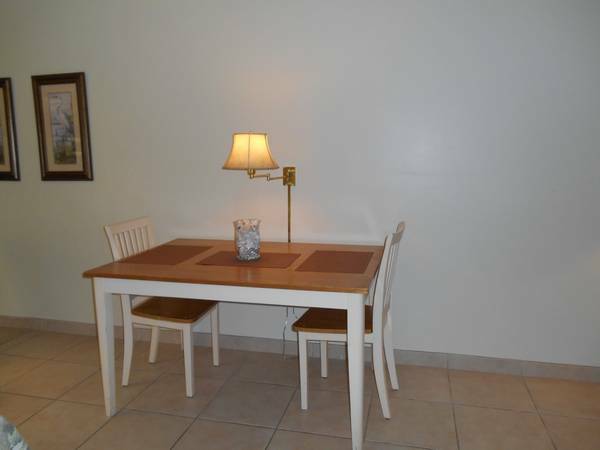 A safe for your personal belongings is included. 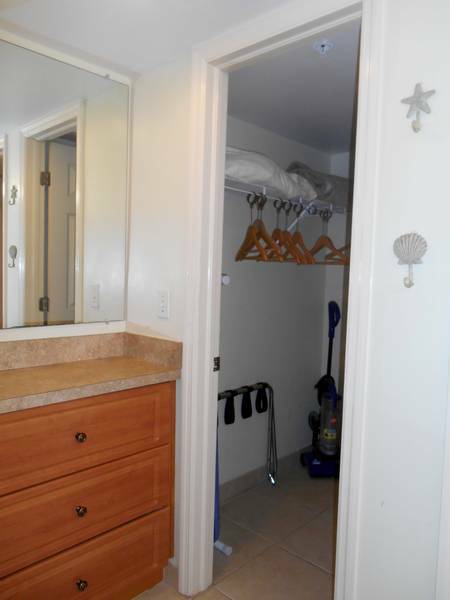 As a "Pet Friendly" unit you don't have to leave your beloved pet at home. 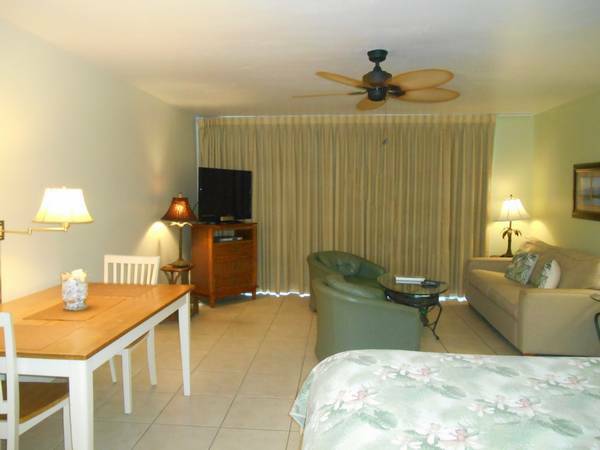 For a small nightly fee of $25 per pet they may stay with you and enjoy the same warm, sunny beach you will treasure. 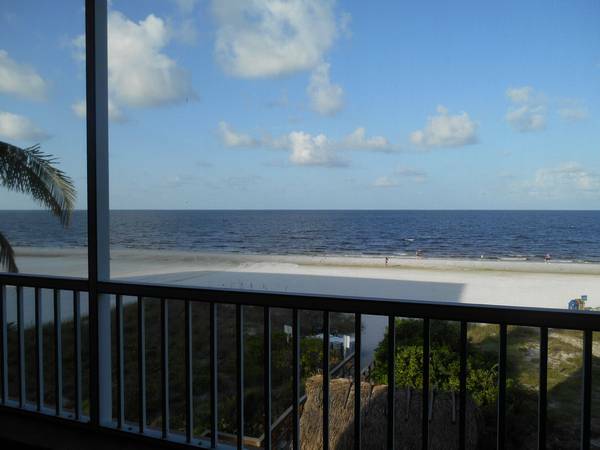 So, blend up a drink, pour a glass of wine or brew a cup of coffee and sit on the private lanai with a table and four chairs to enjoy views of the beach, the Gulf, Sanibel Island and beautiful sunsets.